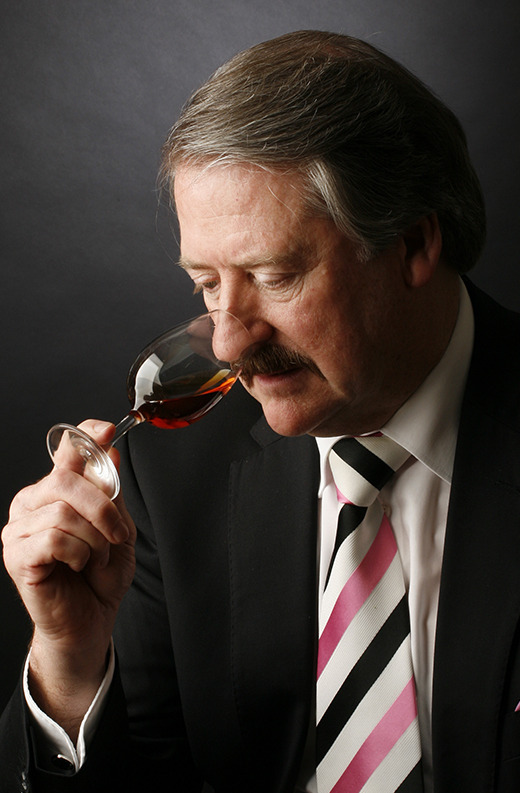 Richard Paterson is third generation in a family which has had a long association with the Scotch Whisky Industry. Richard started the art of “nosing” whisky at the tender age of 8 years old with his father so it is not surprising whisky runs in his blood. In 2016 Richard celebrates 50 years in the Industry having spent the last 46 years with Whyte & Mackay Distillers and being their Master Blender since 1970. Over this long period Richard has been heavily involved in both wine and spirits and still remains a great supporter and presenter at The Wine & Spirit Education Trust, London. He has produced countless award-winning whiskies however one of his greatest achievements was replicating The Mackinlays Malt Whisky which had been preserved under Sir Ernest Shackleton’s hut in the South Pole for a staggering 103 years! He is a past President of The Institute of Wines & Spirits, Visitor of the Incorporation of Maltmen, Deacon of the Incorporation of Coopers, The Benevolent Society of the Licensed Trade of Scotland and in 1999 was made a “Master” Keeper of the Quaich at Blair Castle. In 2013 Richard was inducted into the “Whisky Magazine Hall of Fame.” In 2015 Whyte & Mackay Distillers was awarded the “UK Spirits Producer of the Year”.